Donna Leon has 1 media appearance. Pregó de la Lectura de Sant Jordi. Enguany, anirà a càrrec de l'escriptora Donna Leon que conversarà amb el periodista Óscar López sobre els valors de la lectura i sobre el conjunt de la seva obra. Donna Leon (Nova Jersey, 1942) va estudiar a Perusa i a Siena, va treballar com a guia turística a Roma, com a redactora de textos publicitaris a Londres i com a professora d'anglès en diverses escoles nord-americanes d'Europa i d'Àsia. Des del 1981 viu a Venècia, dedicada a les seves dues grans passions: l'òpera i la literatura. Experta en música barroca, és la productora i consultora artística de la companyia d'òpera Il Complesso Barocco. Es reconeix amant dels clàssics Henry James, Jane Austen, Charles Dickens, William Shakespeare i, sobretot, de la novel·la negra, gènere al qual ha dedicat la seva activitat creativa. Les seves novel·les tenen com a protagonista el commissario venecià Guido Brunetti. El pregó de la lectura es va celebrar per primera vegada l'any 2003 amb la presència de Quino. Des d'aquell any han estat pregoners José Saramago, Martí de Riquer, Emili Teixidor, Antonio Tabucchi, Alessandro Baricco, Bernardo Atxaga, José Luís Sampedro, Josep Maria Castellet, Raimon i Albert Sánchez Piñol. The Is That A Gun in Your Pocket? Book Club will discuss Death at La Fenice: A Commissario Guido Brunetti Mystery by Donna Leon. Come join Tommy and Wil the first Monday of every month at 7PM as they explore the worlds of fiction's greatest mysteries. But you must hurry - the game is already afoot. This month's title is Death at La Fenice by Donna Leon. Donna Leon reads from About Face. Donna Leon on tour for About Face. 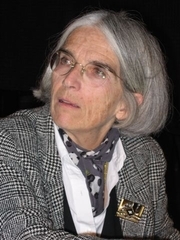 Donna Leon has lived in Venice for about 30 years. She was a lecturer in English Literature for the University of Maryland University College-Europe in Italy, and then a professor at the American military base of Vicenza. She stopped teaching to concentrate on writing and other cultural activities, especially Baroque music. Donna Leon's book The Waters of Eternal Youth was available from LibraryThing Early Reviewers. Donna Leon is currently considered a "single author." If one or more works are by a distinct, homonymous authors, go ahead and split the author. Donna Leon is composed of 7 names. You can examine and separate out names.